FBI Super Security Hidden Keyway These are the 2nd model which as an added security measure were manufactured with a milled groove on the side of the handcuff's bows. This was designed to prevent "spreading" the cuffs apart. These handcuffs patented in 1934 and used exclusively for the FBI are the strongest handcuffs ever manufactured and when in place on the wrist are designed that the keyway is hidden from sight and entrance blocked. 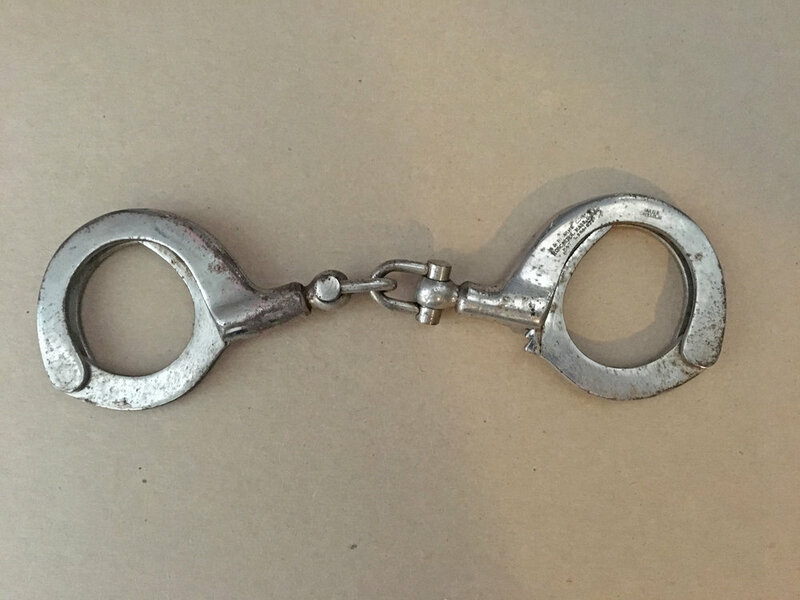 The cuffs are in excellent working condition and come with a key. Please see pics for more info.